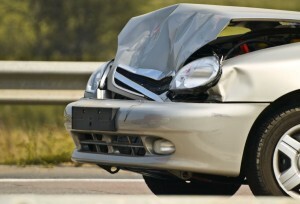 Car accidents are inevitable but how we handle them can make all the difference. Instead of during the hectic moments immediately following a collision, it’s important to familiarize yourself with post-accident procedures ahead of time. This step-by-step guide will help you remain calm, protected and get the maximum recovery for your claim. If the car accident is minor, move your vehicle out of traffic to a safe place, such as the shoulder of the road or a parking lot. If you are injured or moving your car isn’t possible, stop your car and turn on your hazard lights to warn other drivers and prevent further accidents. Check to make sure that no one is hurt – including yourself, drivers, passengers and pedestrians. Even a seemingly minor symptom like a headache or dizziness should be checked out by a healthcare professional. Shift into park, turn off your vehicle and take a moment to catch your breath. Once it is safe to get out of your car, walk to a safe place. If you have flares or warning triangles, consider using them. Even if the accident is minor, a police report can be invaluable to your claim process. Let the police objectively judge events and establish who, if anyone is at fault. If police cannot come to the scene, you may also file an accident report through your state’s DMV. Notify your insurance company and consult with an attorney. Your attorney can protect your right and ensure you are fully compensated for your vehicle or injuries. Since lawsuits can take up to several years to settle, Absolute Legal Funding can help you get an advance to help with your monthly living expenses. You owe us nothing if you don’t win your case! Click here to apply and contact us with any questions you may have.